Sometimes even a hero needs to be rescued. 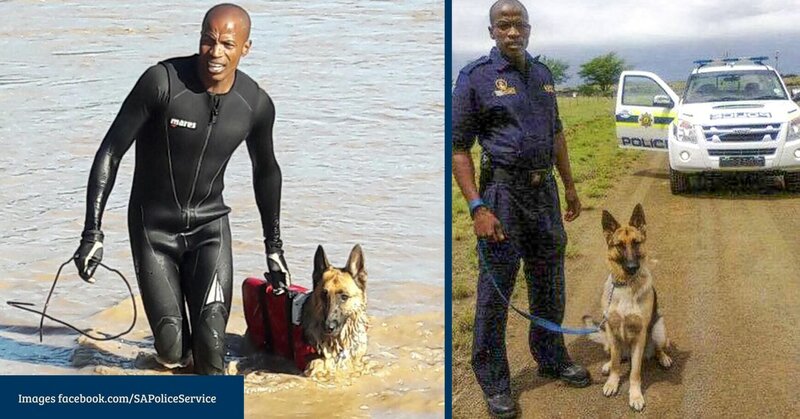 Ask Olive, the Eastern Cape’s best rescue dog from 2014 to 2016, and today, probably the most famous. In February this handsome German Shepherd first saved a man’s life, and then needed a bit of saving himself. Here’s how things unfolded. 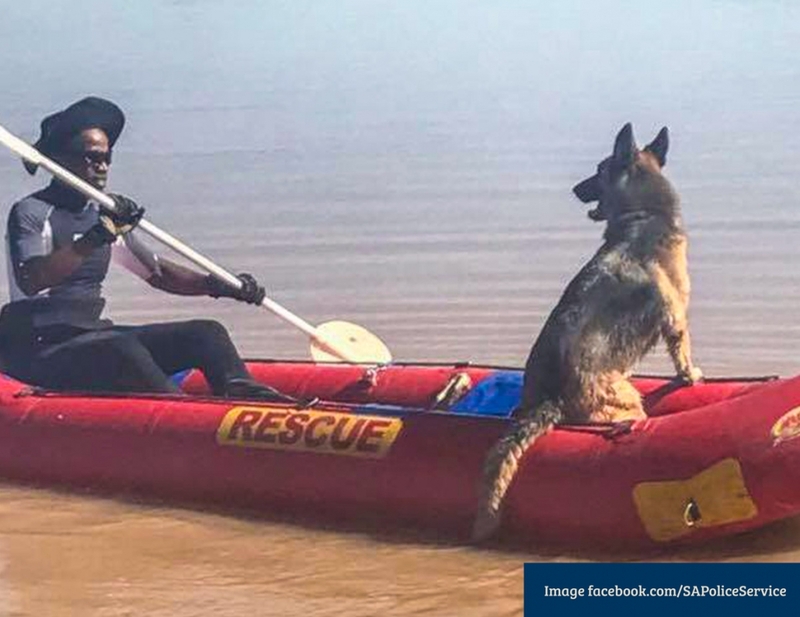 For constable Songezile Katikati, life without his 7-year old German Shepherd would be unimaginable. Since 2012, they’ve worked together as a super team — on rubber ducks in rivers, on dry land and dense forests, in hot or cold temperatures, rain or shine. When someone goes missing and constable Katikati and Olive are sent out, well, the person is as good as found. On 16 February 2018 the team was sent out after a man was reported missing in the mountainous area outside the village of Sulenkama in rural Eastern Cape. After going out to collect firewood in a nearby forest, the 55-year old man got lost. After two days, the severely dehydrated man was found by Olive — arguably saving his life. The story of another ordinary day of heroics in Olive’s life, however, took an unexpected turn when the rescue team arrived back at their vehicle. The community’s own pack of dogs had also been searching for the man (to no avail), but as they arrived back at the village, the pack of dogs turned on Olive and started chasing him. According to constable Katikati, Olive, a working dog, is scared of other dogs (‘more so than of criminals’) and the hero made a beeline out of there, and back to the safety of the forest. The search party went back searching for Olive (the roles now reversed), but to no avail. For three days, there were no signs of Olive. Anyone who has ever lost a dog will understand this trauma and anxiety. After what must have felt like an eternity, on the third morning after Olive went missing, a police search party spotted Olive under a low cliff in thick bushes — stuck. After managing to free Olive, his owner wept tears of joy, thankful that, apart from some dehydration, Olive was totally fine. Of course, it’s only the remarkable stories we hear about every now and then. Everyday, police dogs bravely and loyally fulfill their roles as search-and-rescue dogs, narcotic and explosive dogs, and even biological detection dogs. Who can forget Stoffel, the undercover canine cop? But what Olive’s story shows us, is that sometimes, just sometimes, even the strongest and most heroic among us, need a little help from their friends. News 24, IOL news, South African Police Service Facebook page.